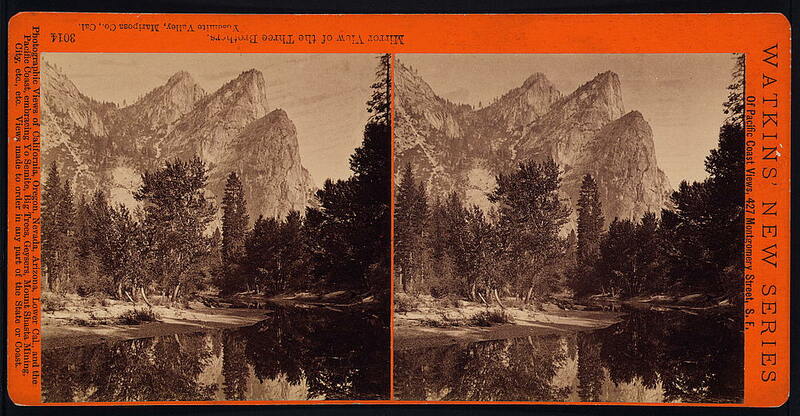 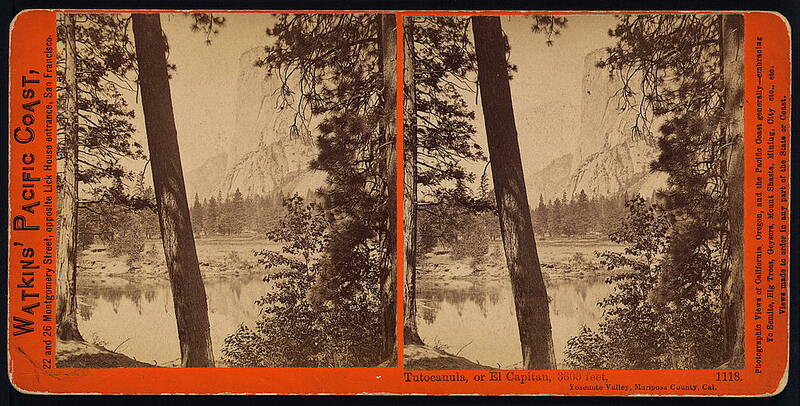 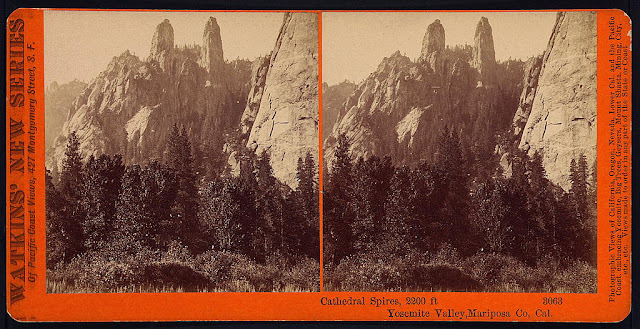 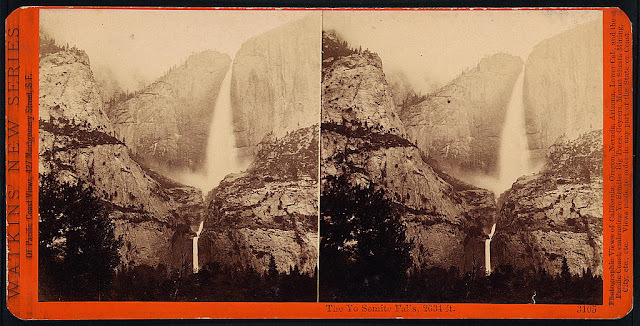 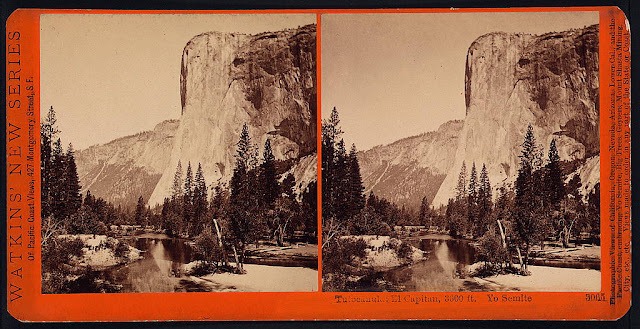 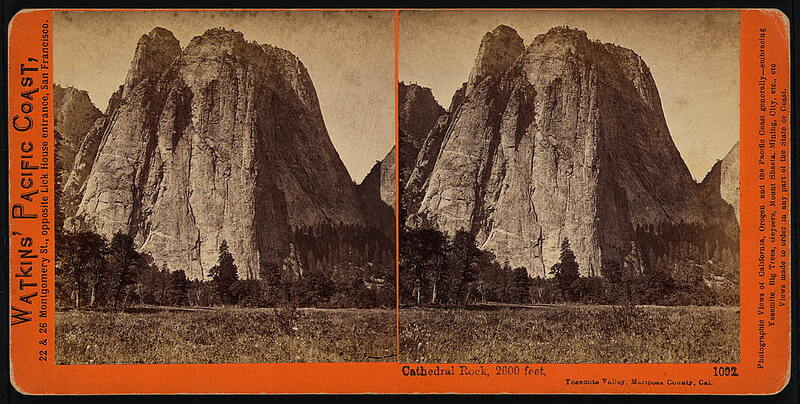 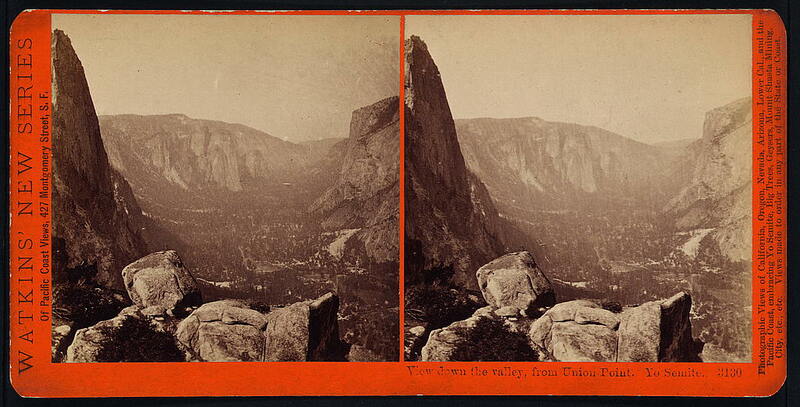 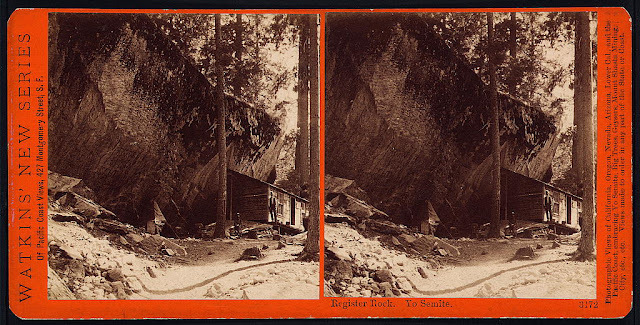 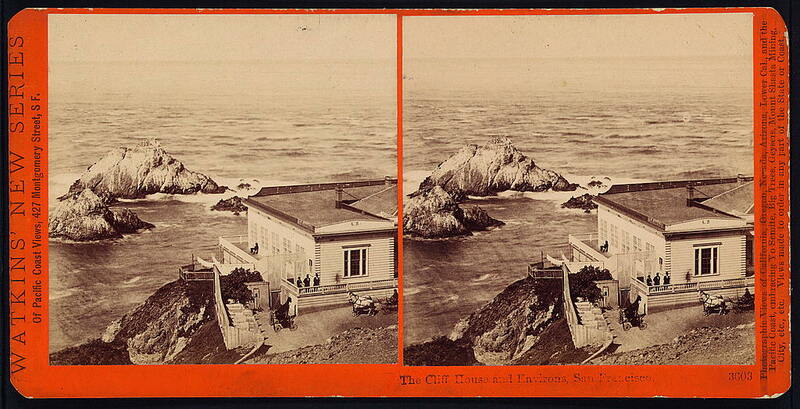 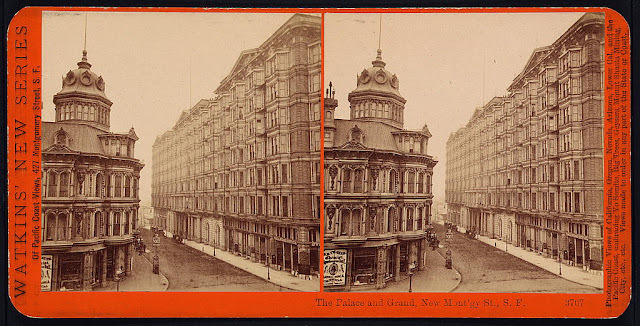 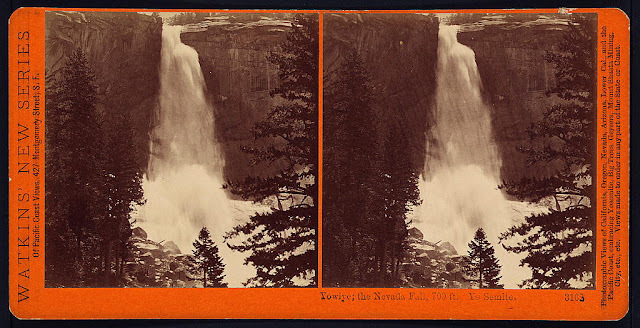 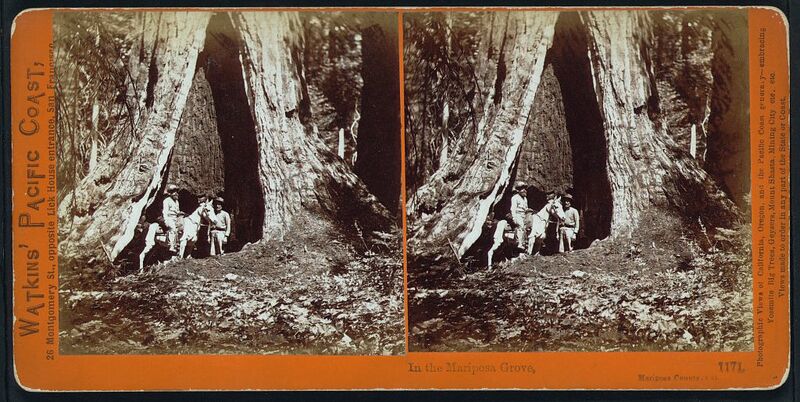 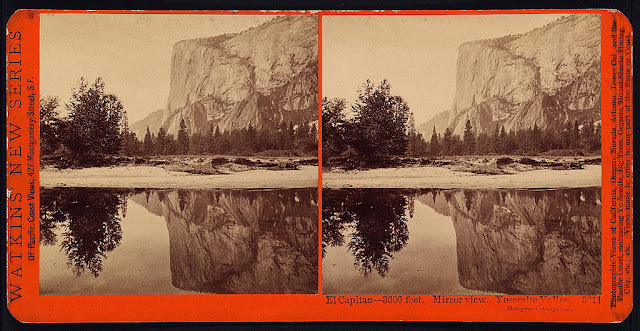 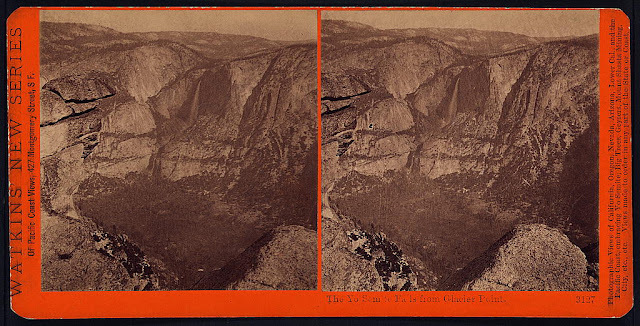 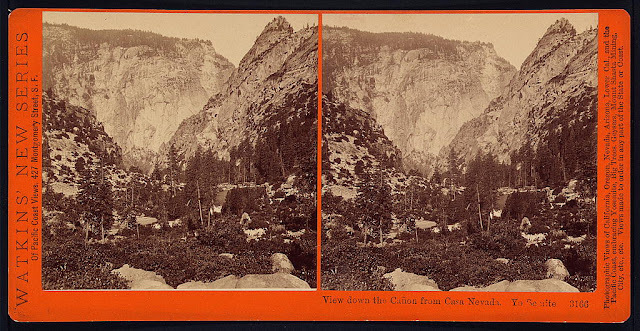 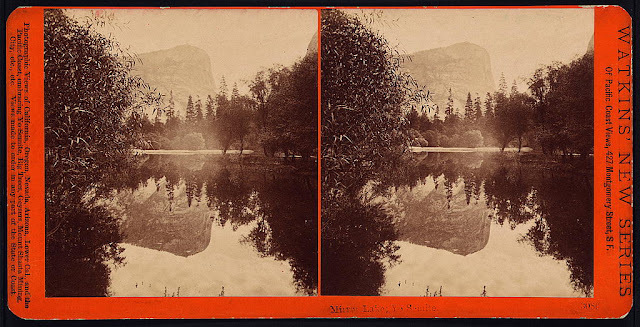 A stereograph, for those who don't know, is two images (usually photographs, but not always) taken and printed a certain distance apart so that, when viewed though a proper viewer, they combine to create one, 3-D-looking image (a demonstration here). 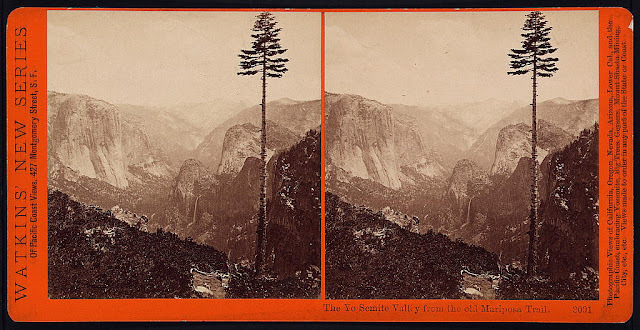 These were insanely popular throughout the 19th and early 20th centuries, with hundreds of thousands of views created. 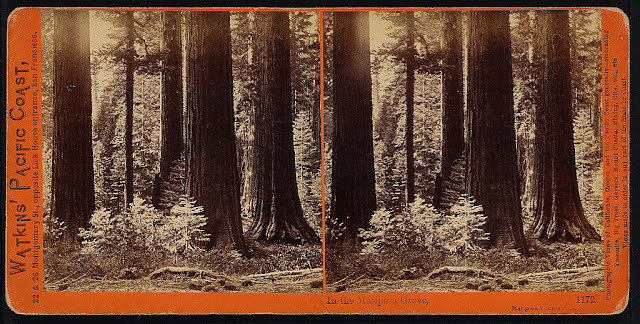 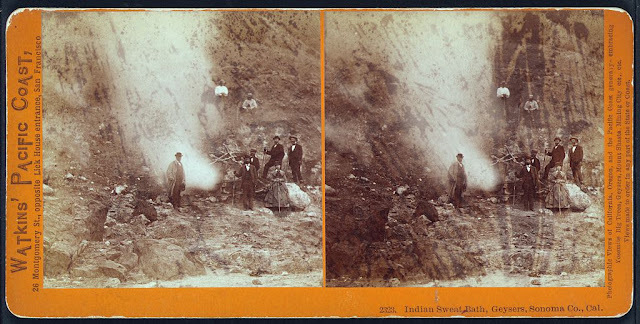 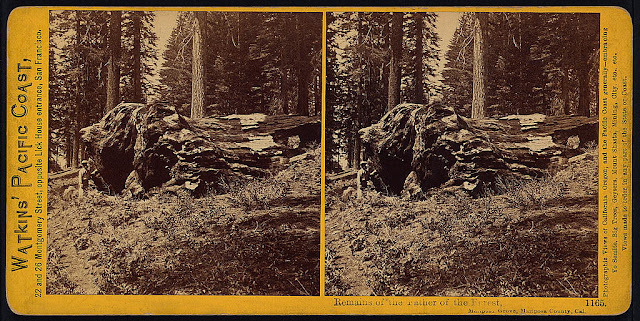 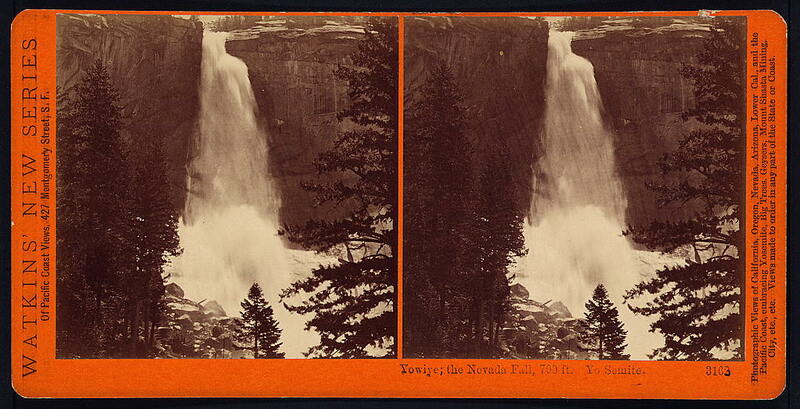 These particular stereos are by Carleton Watkins, who travelled west with railroad companies to create a visual record and share images of the still-new (to white Americans) country. These images c. 1879. By the way, if you don't have a stereo viewer on you, it is possible to get the effect without one, by unfocusing and refocusing your eyes in the same way as a Magic Eye. 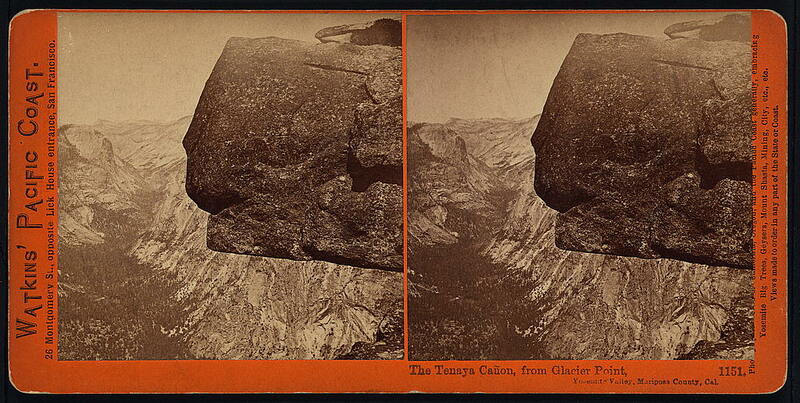 Though I'm not to blame for any headaches created in this attempt! You feature the best things :) .